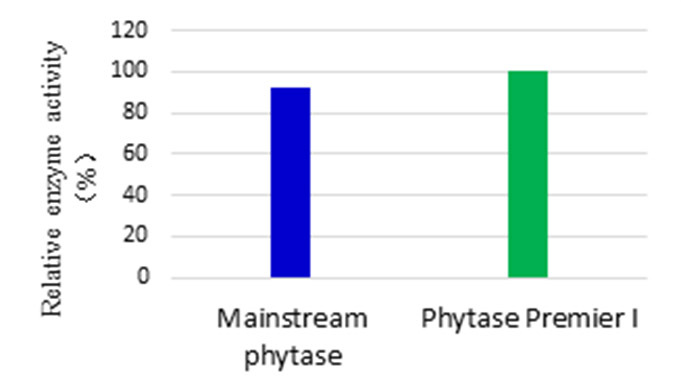 Single Feed Enzymes the Thermostable Phytase for feed is the refined Enzymes For Animal Health. 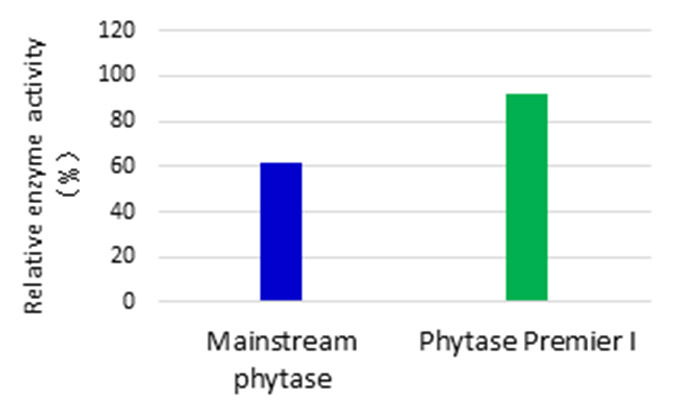 INTRODUCTION: Nutrizyme PHY-P (Phytase Premier I) [EC 3.1.3.26] is produced from Aspergillus niger through advanced fermentation and extraction technology. It is thermostable and good tolerant to pepsin and trypsin. It can break down the undigestible phytic acid (phytate) and release digestible phosphorus, calcium and other nutrients. 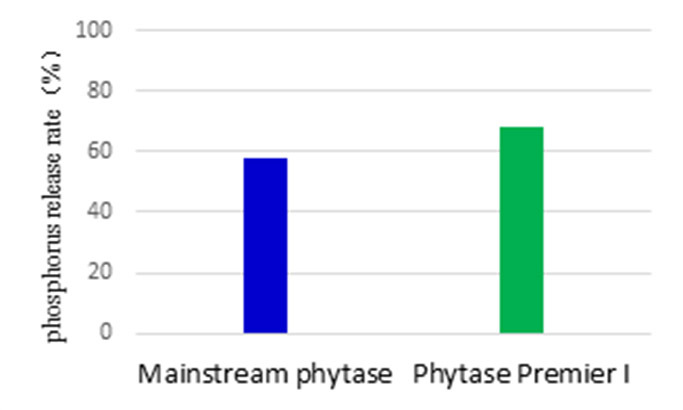 As an animal feed additive used in poultry and swine, it can enhance the nutritive value by liberation of inorganic phosphate from phytic acid (myo-inositol hexakisphosphate) , thereby, reduce phosphorus pollution to the environment. Products can be customized according to customer`s demand. An experiment was conducted in a feed factory in Shandong province. The phytase was fixed with the swine`s feed, conditioned for 90s at 85℃.0.4MPa and pelleted for 10s in a Modulator (AG,CH-9240, Bühler Co., Wuxi China), testing the thermostability during feed pelleting process. 2. Reduce the dosage of inorganic phosphorus and save cost of animal feed. 4. Improve the absorption phosphorus and reduce environmental pollution. 3. 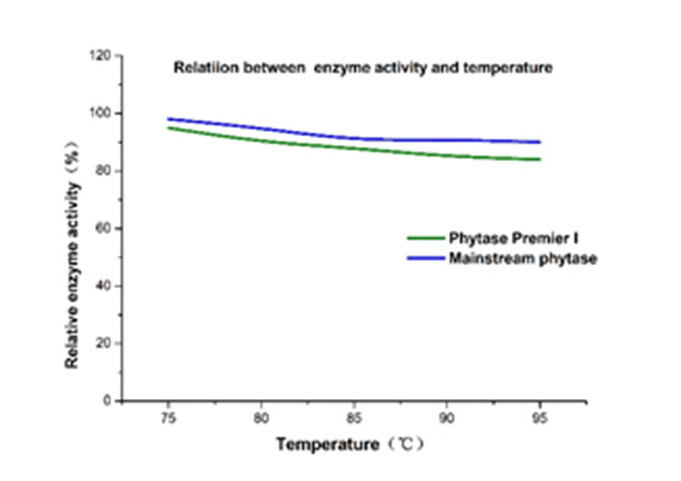 Thermostable, wide pH range, catalyzing effectively in animal gastrointestinal tract. 5. Highly concentrated and cost saving. 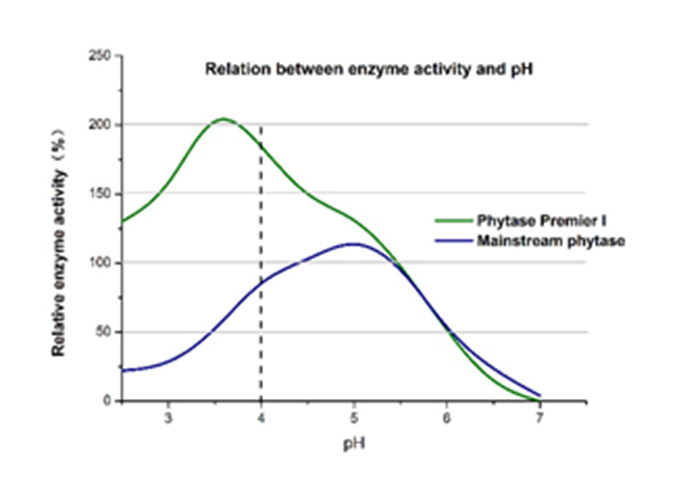 Note:The Mainstream phytase means the current mainstream phytase in international market. Looking for ideal Break Down the Undigestible Phytic Acid Manufacturer & supplier ? We have a wide selection at great prices to help you get creative. All the Release Digestible Phosphorus are quality guaranteed. We are China Origin Factory of Reduce Phosphorus Pollution to the Environment. If you have any question, please feel free to contact us.